Roatán, located between the islands of Útila and Guanaja, is the largest of Honduras’ Bay Islands. It is approximately 77 kilometres long, and less than 8 kilometres across at its widest point. The island is located near the largest barrier reef in the Caribbean Sea and the second largest worldwide after Australia’s Great Barrier Reef. 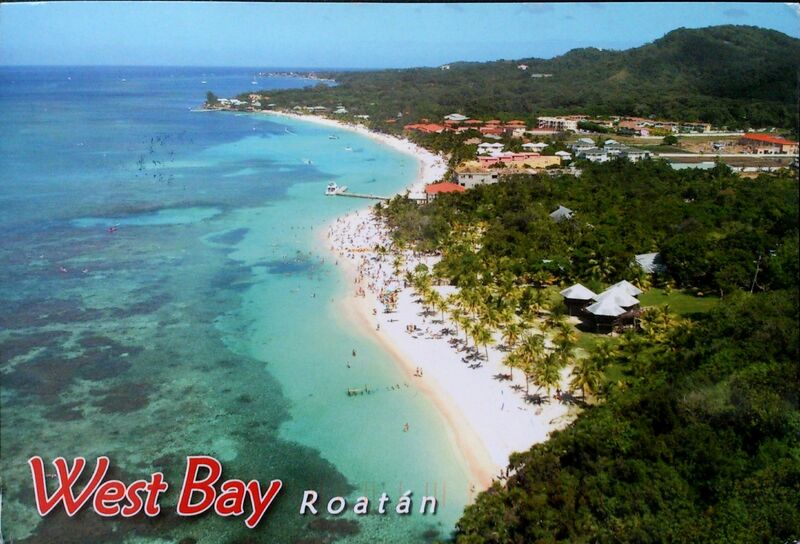 It has become an important cruise ship and scuba diving destination in Honduras. For many years the island was a hidden gem, with some of the most beautiful white beaches and the best snorkel and diving spots in the Caribbean, but it was ‘discovered’ around 2005 by cruise ships and hotel developers. West Bay is the furthest-west area of the island. It’s arguably the best stretch of beach in the western portion of the island – powder-white sand that is very well maintained. The reef is a short swim away for excellent snorkeling, especially near the west-most tip, also known as Tabyana Beach. West Bay is also home to some of the best sunsets. It is recommended to spend beach time in the West Bay and bar time in the West End.